* Treasure - Bring down all the treasures and reach the target score to finish this level. 2. 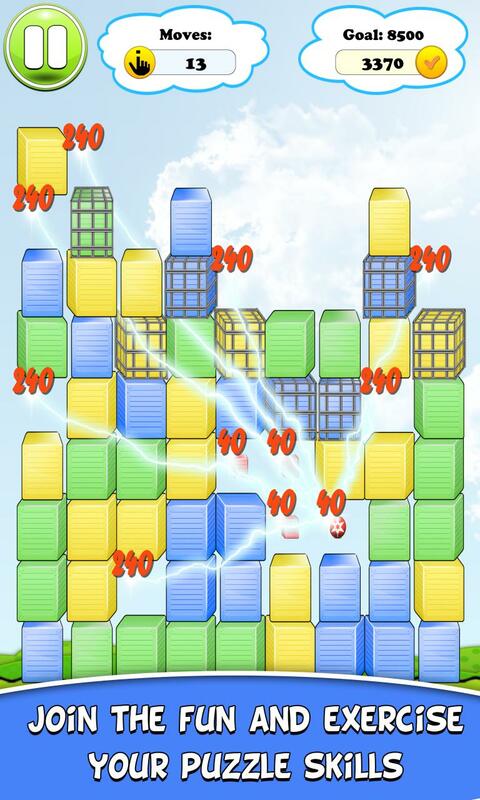 Each level will present you with a different game grid of blocks and an objective you must complete. 3. 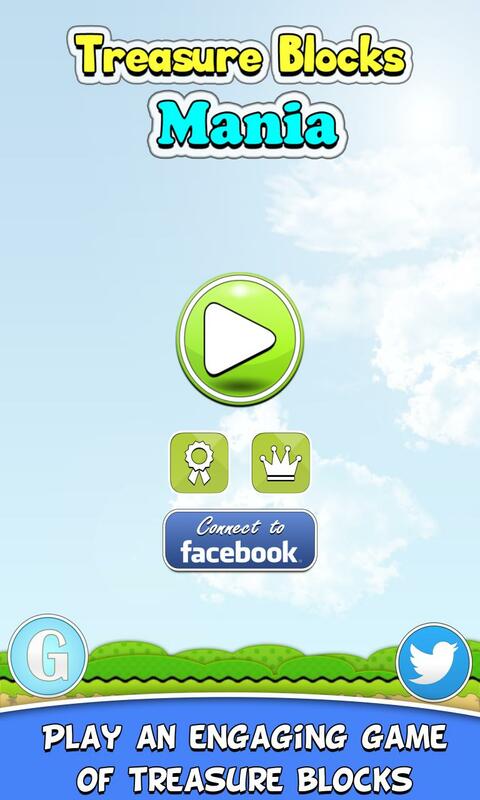 Each level must be completed before you can progress to the next. 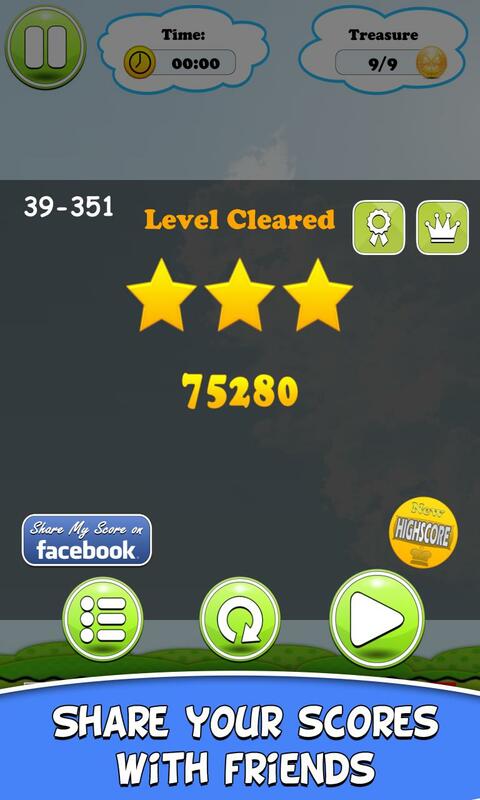 You can replay any level to you can try to earn three stars. 4. By busting 7-9 blocks of the same color you get a joker block. 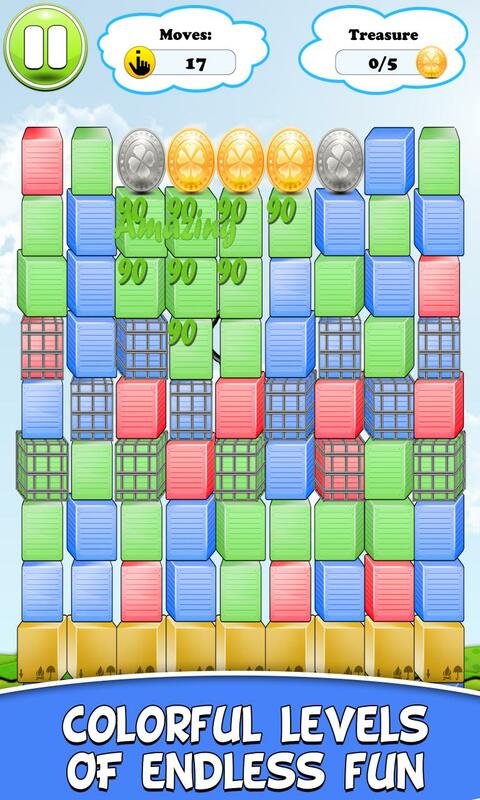 This can be matched with any other single block on the board. 5. 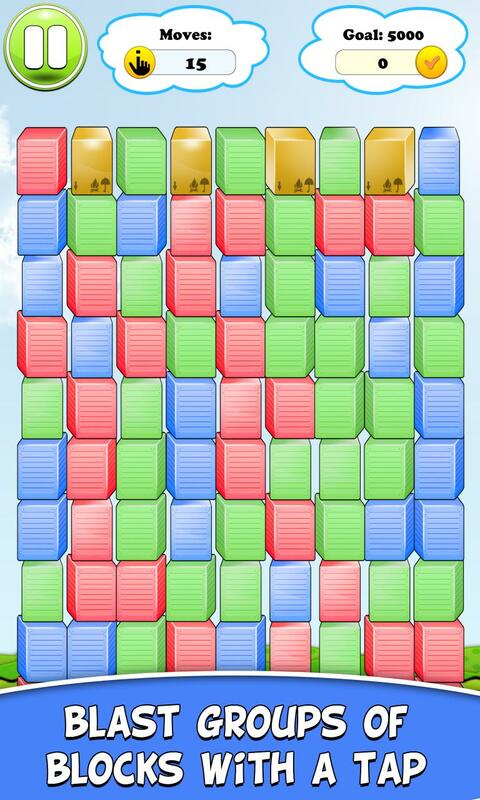 By busting 10-11 blocks of the same color, a row buster appears. When pressed, clears the entire row it is on. 6. By busting 10-11 blocks of the same color, a column buster appears. When pressed, clears the entire column it is on. 7. 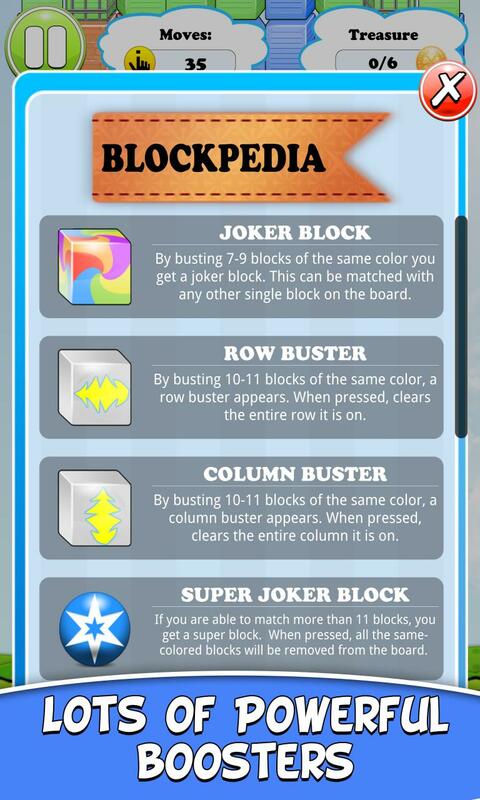 If you are able to match more than 11 blocks, you get a super block. 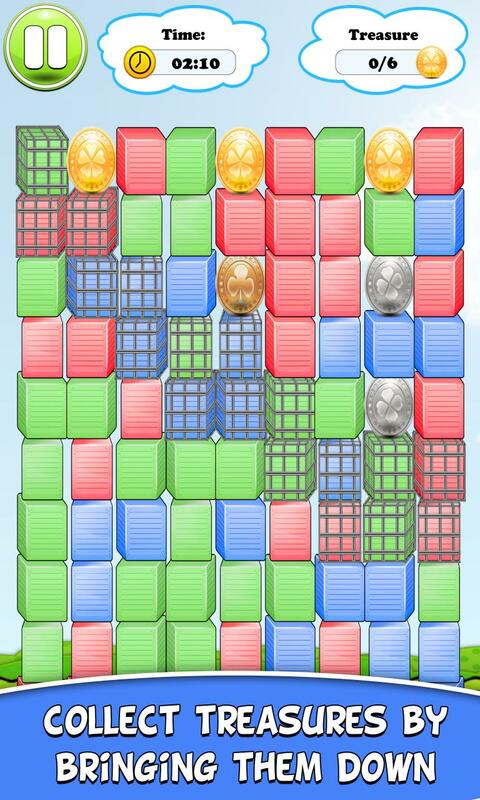 When pressed, all the same-colored blocks will be removed from the board. 8. You cannot press the on a block with bars, but you can use it to make a match. 9. 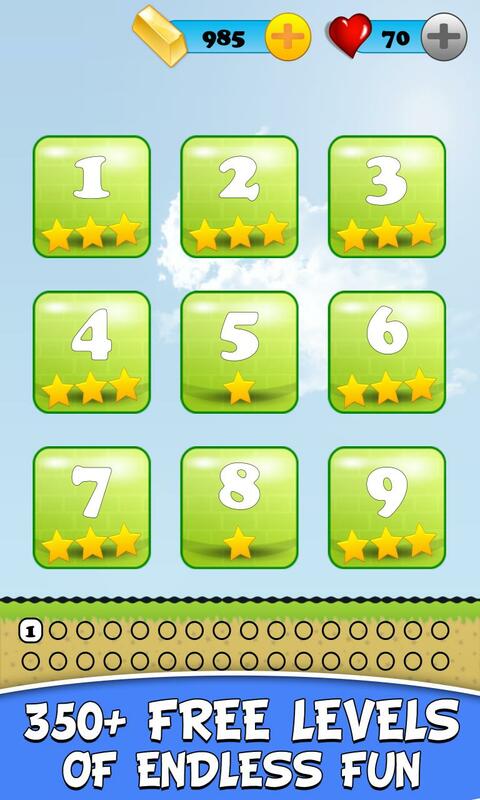 Bring the bronze coin to the bottom row to score 1000 points. 10. 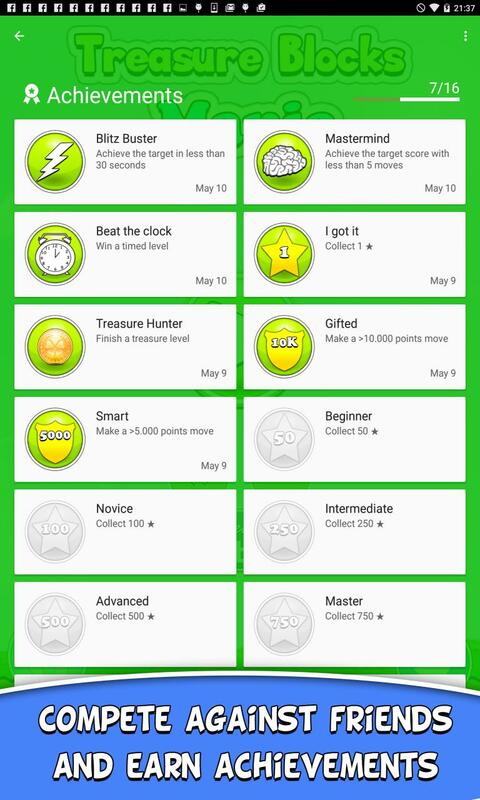 Bring the silver coin to the bottom row to score 2500 points. 11. Bring the gold coin to the bottom row to score 5000 points. 12. The rock can be cleared in two steps, by destroying neighboring blocks. 13. The stone can be cleared by destroying neighboring blocks.